The latest fighting at Tukaraq in Somalia’s Sool region on 24 May, between on one side the combined regional forces of Puntland (which include those from the occupied SSC regions) and on the other side those of the occupying militia from the one-clan secessionist enclave calling itself Somaliland, has drawn reactions from diverse quarters calling predictably for restraint and return to peace. The feckless fledgling federal government, averse to take a clear stand against the secession per se, or more importantly the occupation of the SSC regions (lest it burns its fingers by antagonising their supporters in Parliament), could only master an anodyne call for an end to the fighting. Normally, it remains mute, so for what it is worth, this could be considered a change for the better. Secondly, their call for an end to the fighting and a return to the ex-ante status quo, without any linkage to the end of the occupation of the SSC regions, would favour Somaliland and implicitly legitimizes their continued occupation of the SSC regions. Thirdly, their statement wrongly implies that the ownership of Tukaraq is the only problem between the warring parties and that once that is put to one side peace would automatically return to the region. This calculation amounts to delusion for the simple reason that a halt to the fighting at Tukaraq can only be temporary unless the wider underlying problem, which is the occupation of the SSC regions by the secessionists, is ended once and for all. Tukaraq is only the latest flashpoint in the region but not the first and probably not the last. Since the secessionist clan first invaded the SSC regions in October 2007, resistance in one form or another to their occupation and to be part of their renegade Somaliland have been the order of the day in all parts of the SSC regions. Most notable are those deadly clashes at Kalshaale, Buuhoodle and Maygaagle in the Cayn region in which close to a thousand combatants died on both sides. 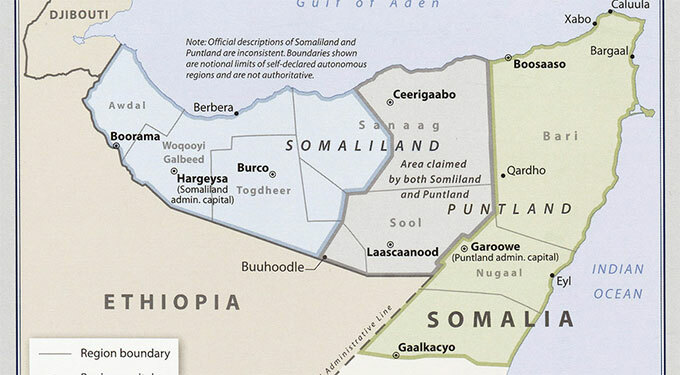 And such clashes are bound to continue so long as the occupiers remain in the SSC regions and its people exercise their fundamental inalienable right, as they clearly do, to free themselves from the enclave’s illegal occupation of their territories and remain part of Somalia (and Puntland). This is the wider issue that Somalia’s International partners should have been addressing all along if true peace and stability for the interest of all (including the secessionists) are to be attained. The enclave has committed two simultaneous crimes against Somalia. First, under the leadership of their rebel movement (SNM), they declared secession from Somalia on 18 1991 following the collapse of the Somali State in which they played a critical role. 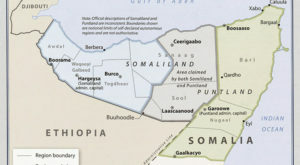 Secondly, unlike other secessionists in Africa (or indeed in the rest of the world) which were conceived and confined to their clan territory, the SNM- enclave went further and embarked on a colonial-like conquest of all the other unionist clans/ regions in the former British colony and rebranded it as Somaliland. Whereas other secessions in Africa were defeated for lack of political and/or economic support from the international community, the reverse has been the case with Somaliland. As if to reward its perceived success (call it secession), it has been mollycoddled by some and lavished with disproportionate aid. It is this special treatment by some aid donors, bordering on quasi recognition, that has nourished not only the enclave’s intransigence to renounce the secession but also sustained its colonial occupation of unionist regions such as the SSC or encouraged its reckless adventure to invade and capture Tukaraq expecting the international community to the look the other way. As many Somalis suspect, some of Somalia’s so-called international partners are in this league. If there has to be peace and stability in the region, the international partners of Somalia would have to put their money where their mouths are and ensure that they are not willy-nilly part of the problem. That would require that their aid is neither sustaining the occupation of the SSC regions nor nourishing the secession.